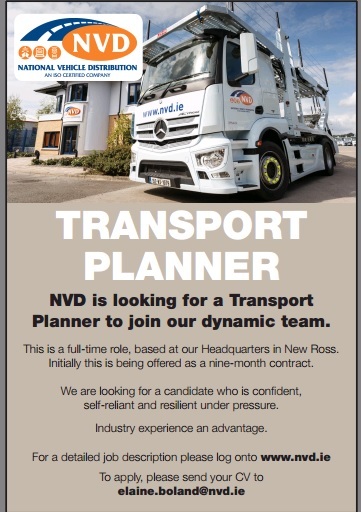 NVD is looking for a Transport Planner to join their dynamic team. This is a full-time role, based at their Headquarters in New Ross. Initially this is being offered as a nine-month contract. They are looking for a candidate who is confident, self-reliant and resilient under pressure.